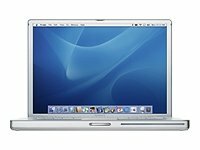 Mac Repair London specialises in providing high-quality Apple PowerBook G4 repair and upgrade services to our customers at affordable prices. With no obligation, our Apple Mac repair team will provide you with a free quote for your 12-inch, 15-inch or 17-inch Mac notebook computer repair. Our skilled and experienced Mac technicians can handle any issue with your PowerBook laptop including notebook will not turn on, cannot connect to wireless network, PowerBook G4 laptop will not boot up, failure of the lower memory slot, hard drive failure, faint white spots appear on the screen, logic board failure, PowerBook G4 stuck at logo/grey screen, black screen, notebook freezes at startup and PowerBook G4 overheating. Let us help you with all your Mac notebook computer repair needs. If you have any questions about our London PowerBook G4 repair or upgrade services, please feel free to call us at 020 7394 2528 or e-mail at info@mac-repair.london.